This time the rumours were true! 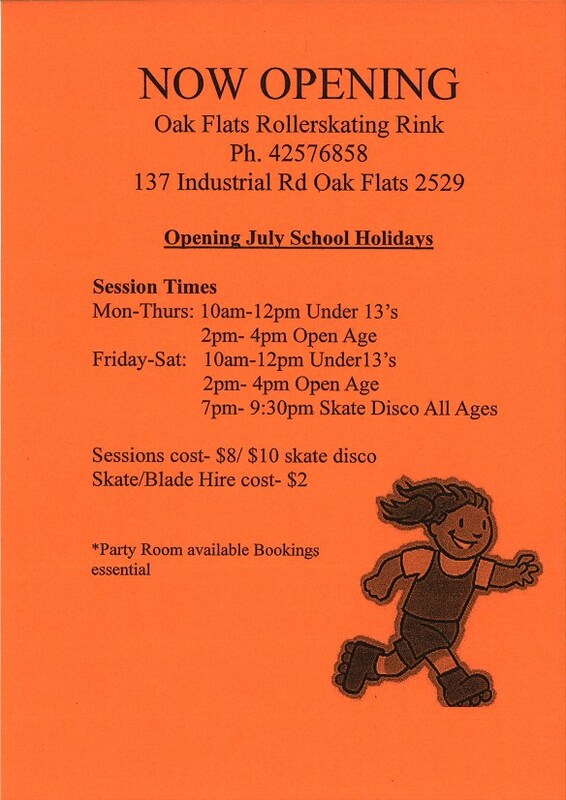 A real actual skating rink will be opening these school holidays out at Oak Flats! According to Google Maps it is about 2 minutes walk from the train station.